Melt butter and cook onion, celery & garlic until tender. About 5 minutes. Add all of the other ingredients and bring to a boil then reduce heat and simmer for about 20 minutes before serving. Yummmy, this looks delicious, lady! Oh my goodness! Or shall I say mmm mmmm good!, haha. NOTHING brings on this season like chicken noodle soup!! What a warm and timely post! Looks delicious and exactly what I need to make this week. The weather change always gets my a little sick! Oh there is no better soup to make. 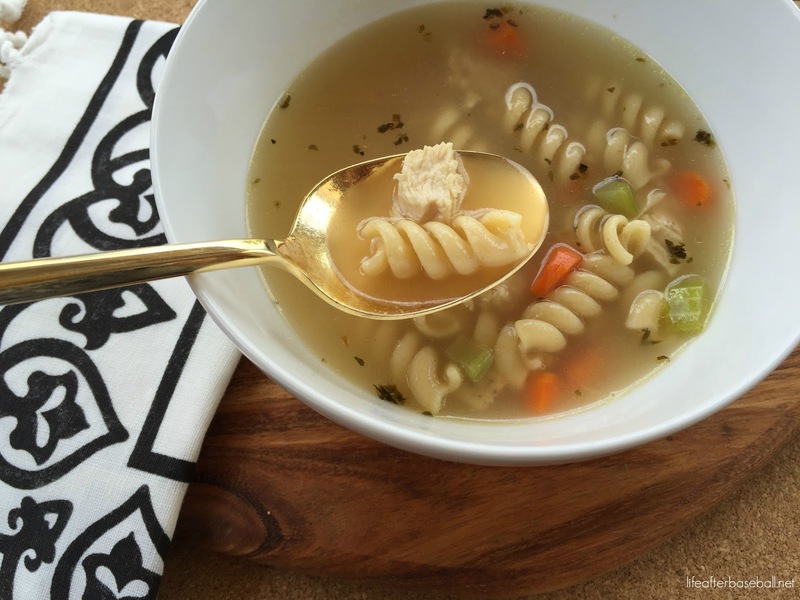 When you're sick, when you're coming down with a cold, or when you need a pick me up... chicken noodle soup is just the best for everything. Love it Charity. that's warm for Minneapolis this time of year!